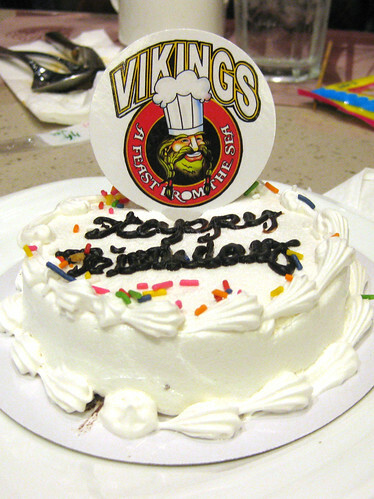 This year, I celebrated my birthday at the Vikings Buffet The Block SM North EDSA. It's food spread is quite extensive and includes Asian and Continental cuisine. If you choose to, you can even ask their cook to make something special for you. Drinks are also unlimited but wines and liquor are not. I went for the roast leg of lamb first. I love lamb and theirs passed my taste. Tasty and juicy, the meat was soft and tender. I missed the distinct lamb taste though my brother said it was still there. I also tried the Angus beef and it's also tender even when I had it prepared medium rare. The Japanese selection was also extensive and well prepared. To my utter shock however, they put on display the remains of a giant tuna with all its flesh removed and only the head, spine and tail remained intact. I pity the poor fish. 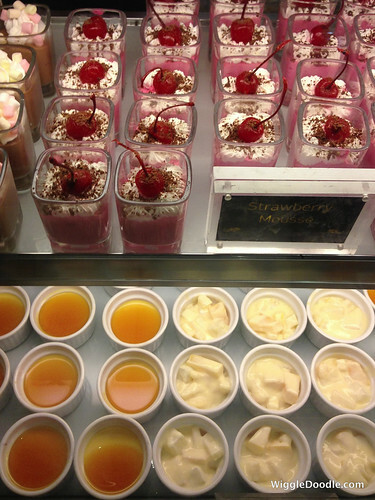 And the choices for dessert is quite extensive too. By the way, if you're celebrating your birthday, the restaurant has an on-going promotion where you get a 100% discount as long as you eat there with a group. Just make sure that it is your actual birthday and you show them a government issued ID (driver's license, BIR, GSIS/SSS or TIN ID) that indicates your birth date. As an added treat for my birthday, I was given this special chocolate cake. Little did I know that this cake also serves as a marker. You see, they have a surprise for birthday celebrants where some of the staff sing to you a special "Happy Birthday" complete with guitar and some shouting. They would even shout out your name before they start singing. At first I wanted to join in the fun but then I saw that one of the staff was dancing, or should I say gyrating in front of the other celebrants. I was turned off and decided to let them pass. I also think that this merrymaking is quite rambunctious and somehow disturbs other patrons who want to eat in peace. Over all I enjoyed the experience. We went there on a weeknight so the buffet was priced at PhP888. You'd think that's quite pricey but I tell you, there's so much to eat there. Compared to other buffets I've tried, the food in Vikings is also very good. If there's a senior citizen in your group, he's also entitled to 50% discount off the regular price. You must also reserve a table two weeks in advance so you will have seats and need not fall in line to get a number. 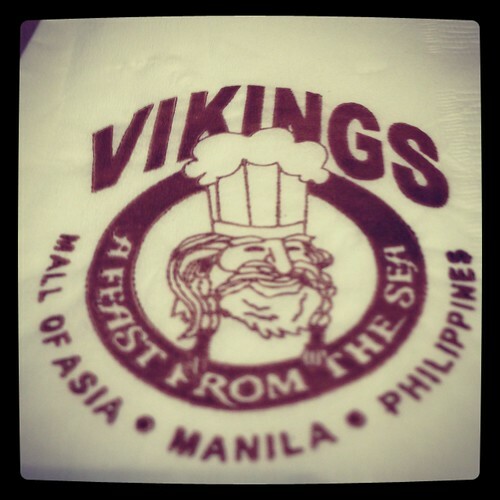 Vikings is located at the 4th floor of The Block SM North EDSA.